But seriously, your first trip abroad is a biggie for a million reasons, not least because it’ll be your first time experiencing a culture outside of your own. That means you’ll want your destination to hit all the standard requirements – great food, a wide range of interesting stuff to do, beautiful scenery – but you’ll also want it to be foreigners-welcome spot. 1. The people are awesome and friendly. Once you’ve got a couple international trips under your belt, you’ll probably be cool with handling less-than-pleasant locals. But on your first trip abroad, there will already be so many other new things happening around you that it’ll be way easier to not have to worry about rude or standoffish locals – which is why Vietnam is a great place to start your journeys. For starters, I found the people I spoke with to be very open and friendly. Actually, “spoke” is a strong word – it was more like the people I “gestured” with, as I don’t speak Vietnamese, and not everyone there speaks English, but still. I usually ended up pointing to things I wanted to buy, like a bahn mi from a street vendor, and even though we didn’t exchange words, we exchanged knowing glances and smiles – and we were golden. I also found that going out to eat was a fun experience in Vietnam. Our restaurant servers, many of whom spoke much more English than the street vendors, generally enjoyed chatting with and taking care of my group, and they were also proud to teach us about their food and lifestyle. 2. Speaking of food, Vietnamese eats are absolutely, positively delicious. For what it’s worth, I’ve never considered myself a foodie – but Vietnam turned me into one. 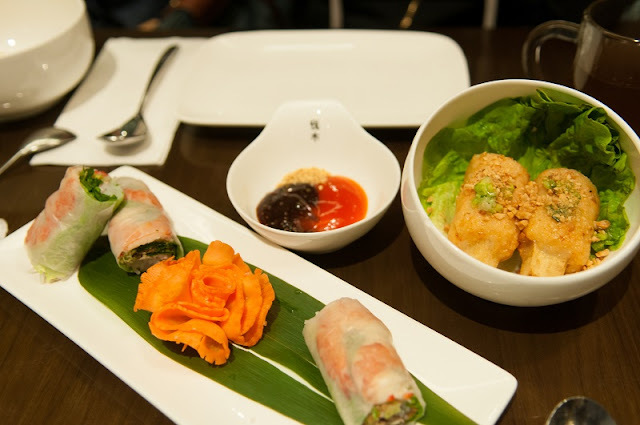 Everything was so delicious and fresh, and filled with distinctive Vietnamese flavours, that I couldn’t help but think about what to eat for the next meal while I was eating the current one. My favorite Vietnamese dishes were pho (rice noodle soup with meat, seafood, and veggies); bahn mi (a baguette filled with meat and other Vietnamese staples, like cilantro, cucumber, jalapeno, and pickled carrots); and – wait for it – egg coffees. Before you scream “eww, egg yolks in coffee, I just can’t even,” hear me out: this coffee is made with egg yolks and sugar and condensed milk. So yes, there are egg yolks in your coffee, but thanks to the deliciously sweet condensed milk and sugar, it tastes heavenly. I definitely want to go back to Vietnam, if nothing else to experience the magic of this drink all over again. 3. There are tons of incredible things to do and see. 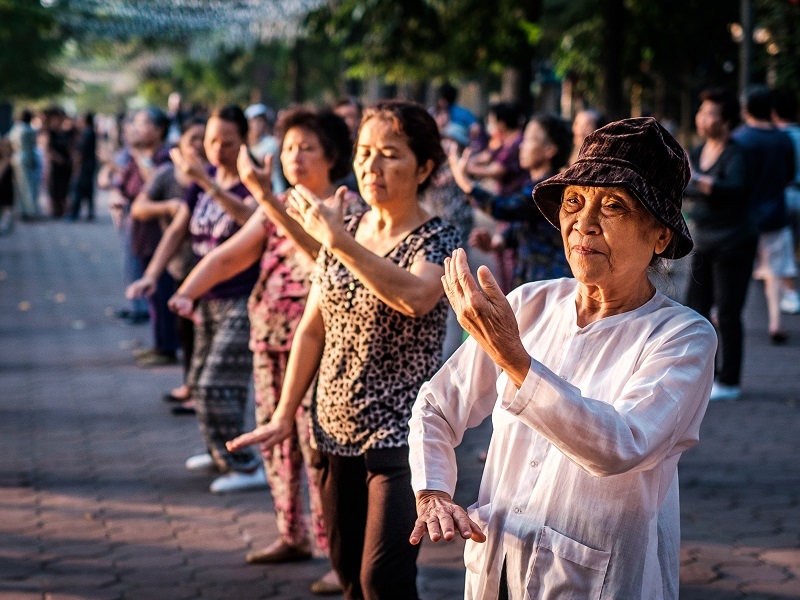 One of the best parts about Vietnam is that matter who you go there with – including just yourself, if that’s how you roll – you will no doubt find something that you love there. And that’s because there is simply a huge variety of activities. Are you a beach bum? Head to the coastal city of Tuy Hoa, which has insane stretches of sand and lots of good snorkelling. Are you a history buff? Check out Hue, an historic citadel with lots of places to visit (spotlight on all of the tombs). What about adventure? 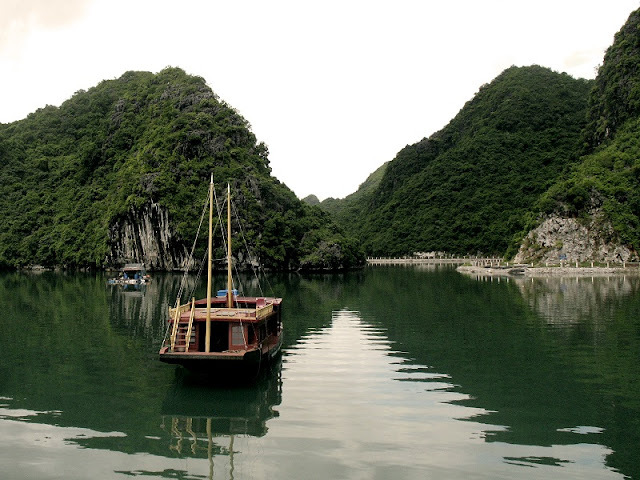 Play around in the caves of Phong Na or Cat Ba Island, both of which are loaded with beautiful natural scenery. I could go on, but you get the point. 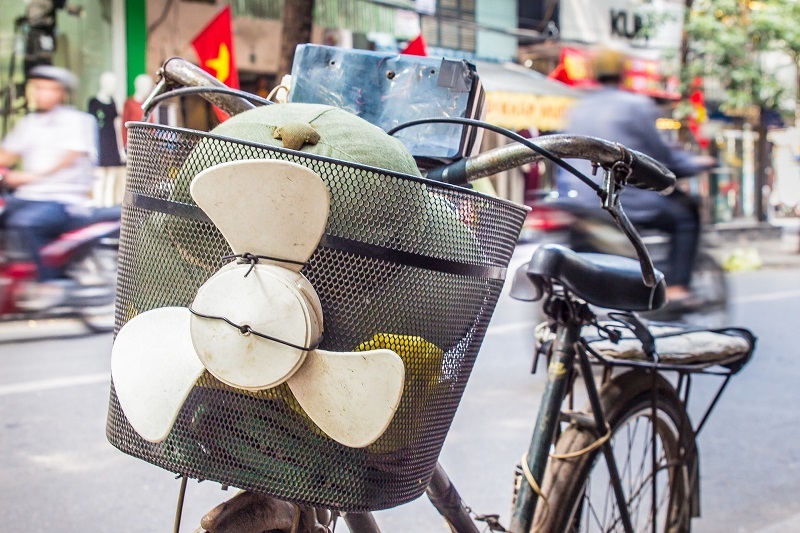 Whether you’re into adventure travel, or more of a history buff, or a foodie, or a beach bum, or whatever type of traveller you are… Vietnam’s got you. If you’re looking to travel on a budget, this is one of the best spots for you. For starters, the country is really big on the backpacker’s circuit, which is usually a good indicator that it’s got some affordable options. But perhaps most importantly, the major travel essentials – accommodation, food, and public transport – are all fairly affordable, so you may even end up spending much less than you’d think. It’s important to remember that Vietnam is still a developing country, so things will cost less than they do at home. 5. The weather is great. Because Vietnam is a very long country (1,000 kilometres in length), the weather varies by region and spans many different climate zones. The cool part about that is that ultimately, Vietnam is a guaranteed year-round destination as a result; somewhere in the country will be nice at all times. Here’s a basic breakdown of the weather by region. The winter lasts from November to April, when the temperatures range from 17 to 22 degrees Celsius. Summers, which last from May to October, are a lot warmer; temperatures can rise to 37 degrees Celsius, though it’s also the rainy season. This region has a really long dry season, from January to August, with temperatures often averaging in the mid-30s (really nice). The rainy season runs from October to December. Only 8 degrees north of the Equator, South Vietnam is basically the tropics. Though it definitely has a rainy season (May to November) and a dry season (late February to April), the temperature remains constant, at around 30 degrees Celsius all year round. 6. The public transportation is easy enough (and a good way to experience the local culture). Chances are, when you think of Vietnam, you think of scooters (motorbikes). In populated cities like Ho Chi Minh City, they’re literally everywhere (it can be hard to even cross the street without feeling like you’re going to get hit by one!). And while the more adventurous travellers may want to rent one of those motorbikes to get around, there are also less-adventurous, but still totally fun, options, like motorcycle taxis and cyclos (three-wheel bicycle taxis). Pro tip: If you’re in a more chilled-out city, like Hue, taking a cyclo can be really fun. But they’re a lot slower, so if you just want to get around quickly, opt for a motorcycle taxi. For longer journeys, the trains in Vietnam are convenient and comfortable, especially the overnight ones. Most backpackers end up taking the train from Hanoi to Ho Chi Minh City, which takes about 30 hours. But if you book an overnight train, you can sleep through most of it; the cabins have air conditioning and are generally pretty comfortable. The buses are generally okay too, though most travelers end up using them for shorter trips within cities. No matter where you go or what you do, make sure to spend some time on a boat too. 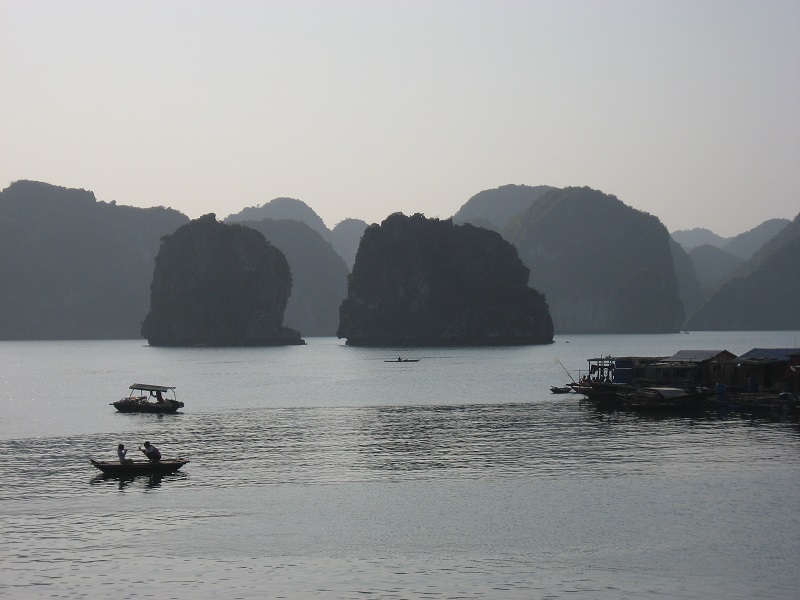 Vietnam offers all sorts of boat tours, including the famous tour of Halong Bay, and lots of other boat tours to cave-heavy areas. Taking a river tour along the Mekong Delta, where you’ll see local fishing villages and general scenic beauty, is also a must. 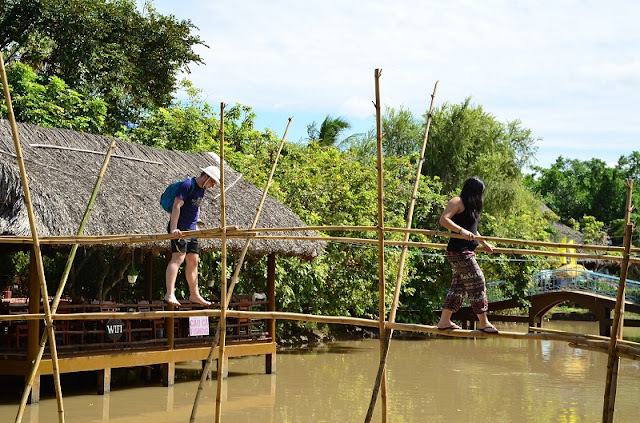 In the end, though, while you can certainly plan out a rough itinerary for your trip, the best way to experience Vietnam is to just go with an open mind, and let the country – the people, the food, the beauty – speak for itself. Whether you’re new to travel or have been all over the place, Vietnam is always a good idea. Explore it now on a small group adventure with Vietnam Typical Tours.